Bank of Kigali – Rwanda’s biggest Financial Institution by assets, made history as the first Rwandan company to cross-list on International Stock Market. On Friday, the bank was officially welcomed to Nairobi stock market. “We are honored to be the first Rwandan company to cross-list on the Nairobi Stock Exchange as part of our successful KSH 70 billion capital raise. The proceeds of the capital raise will go to finance our exciting growth strategy,” Diane Karusisi, Chief Executive Officer of Bank of Kigali said. On October 29 this year, the lender officially launched its sell of Rwf222.2 million shares at Rwf270 each – following a Rights Issue by the Capital Market Authority and Rwanda Stock Exchange. Through sell of the new shares, BK seeks to raise Rwf60 billion ($67.3 million ) in capital. Mark Holtzman,BK Group chairman said the bank’s cross-listing on the Nairobi bourse represents Rwanda’s ‘miraculous’ economic growth. “This is a heavy experience for all of us to be here as the first Rwandan company to list on an international exchange and take the vision of president Paul Kagame. What has happened in the 2 decades in the Rwandan economy is nothing short of miraculous,” he said. 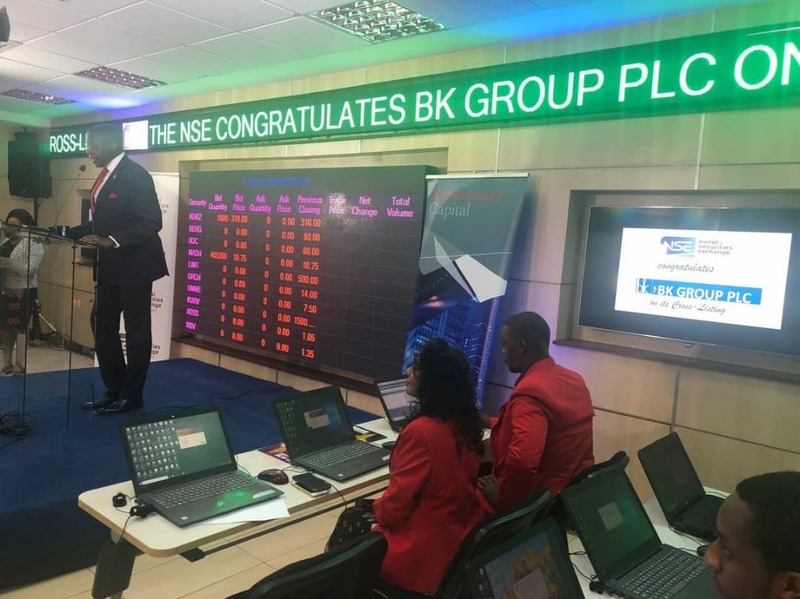 At the ceremony, BK Group welcomed new shareholders who invested through the Nairobi Stock Exchange. BK is Rwanda’s largest commercial bank by Total Assets, with 35.0% market share as of 30 June 2016.